Every business owner will tell you the key to success is solid customer service. Then why do so many businesses struggle with it? First, customers are more likely to remember a poor experience with a business or a brand than a good one. Unfortunately, customers that have a negative experience are also more likely to leave a bad review. In fact, 52 percent of customers will complain or leave a bad review after a poor experience. And if you think that one poor review won’t matter in your sea of glowing reviews…think again. It takes posting 12 good reviews to push down that negative review. This is the crux of the customer service challenge. How do you minimize bad experiences while also ensure good experiences are so memorable that customers have no choice but to recount tales of your business’ graciousness? Furthermore, how do you deliver impeccable customer service without compromising profit? 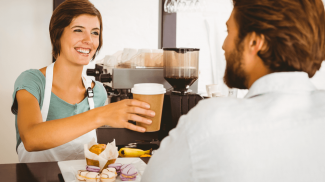 Finding the sweet spot of providing good customer service without diminishing the value of your product is certainly a challenge, and a target that all businesses shoot for. The good news is that good customer service is built upon manners and honesty. Of course there is more to good customer service than politeness and honesty. Starting a list of customer service tips with an admonition about being tough may seem counterintuitive, or even slightly pessimistic. However, it’s important to remember that no matter how awesome your business is, or how solid your customer service, it’s impossible to please everyone 100 percent of the time. Having thick skin allows you to remain calm in aggravating situations so your solutions-oriented strategy can find a way out and turn an adversarial relationship into one that truly benefits both parties. The best customer service experiences and success stories are those when customers feel truly special and like they received personalized service and attention. For example, learning a customer’s name, and using it at the beginning of a pitch and throughout conversations is a great way to create a personal connection. And today, thanks to social media, providing personalized attention when responding to reviews—whether good or bad—goes a long way towards making a customer feel heard and special. As a result, they are more likely to make a future purchase or recommendation. Even if they were unhappy with your product or service, if you make an honest attempt to right a wrong, they will likely appreciate your efforts. Response #2: “The part/product will be available next week. What is the best way to contact you once it arrives”? Do you see the difference? The first response is dismissive and does not offer a solution whereas the second is informative, positive, and proactive. Like a tour guide, customer service is about navigation to a final destination. The best tour guides make you forget that you’re on a tour and that you are discovering information on your own, but not in such a way that the guide is indispensable. If your product is tactile, allow the customer to experience it and “discover” it for themselves. If it’s more conceptual, walk the customer through its usage while also ask questions and offer suggestions and solutions. If the customer doesn’t successfully grasp a concept, allow them a chance to explore and discover the product themselves. Once they feel in control of the product and discover how it solves a problem, they will be more apt to make a purchase. Most customers dislike surveys, logging into an online portal, or doing extra just to rate your product or service. However, as a business, you need their feedback in order to improve processes or reinforce successful mechanisms. One way to get customer feedback is by sending emails with a link to a survey. Customers are more likely to complete surveys when there is a link right in front of them to click. This minimizes the amount of work they have to do. It’s also important to offer incentives to customers who choose to complete a survey. For example, Starbucks offers 10 stars as an incentive for customers that complete their surveys. Be sure that surveys are also short, sweet, and to the point. Surveys should take less than five minutes for customers to complete. Any longer and you risk customer disengagement, or a lot of incomplete surveys. It’s important to remember that when your customer has a problem, it’s extremely serious to them. If the customer points out a flaw in your company’s process, or a problem with a product—no matter how ridiculous—then offer to solve it. If the issue cannot be solved through your own actions, then help the customer overcome the problem. This goes back to the earlier point about honesty. Nothing is perfect, and while customers claim to expect perfection, they really don’t. They just expect you to recognize that a problem is a problem and that you will work with them towards a resolution. The biggest complaint from customer service personnel is their inability to solve problems due to company restrictions or policies. Customer service professionals understand that their primary function is to handle complaints. If they are unable or unauthorized to offer or provide solutions to customers, then this can be frustrating for your customer service team and can make their jobs that much more difficult. This also leads to high turnover rates, which increases training costs, decreases productivity, which ultimately reduces revenue. If your customer service team can offer customers real solutions, such as discounts or credits that aren’t significantly costly to your bottom line, then why not give them that power? If your team can solve problems, then upper management can focus on innovation and less on solving rote customer service issues. Never underestimate the importance of “showing up early”, or quickly replying to customer messages. Again, although a customer’s complaint may not be as important compared to others, it’s important to keep in mind that customers’ complaints are important to them. Even if you respond to the customer to tell him or her that you have received the message and are working on their problem, this goes a long way towards reinforcing your business’s reputation for good customer service. Responding within the hour during business hours is always the best practice. When replying to an online message or via email, tone is just as important as if you were having a face-to-face conversation with a customer. In fact, tone is one of the easiest ways to turn a molehill into a mountain. A good rule of thumb is to craft a written message, reread it and pay attention to tone and word twice. Read it at least twice because you can only hit SEND once! As we mentioned above, with the power of the Internet, customers now have multiple channels available to air their grievances about a poor experience with a business. There is social media, blogs, forums, review sites and so on. Remember how much word-of-mouth matters. Use reputation management services to constantly be on the look out for how your company is perceived, especially online. If there are persistent problems, then contact the customer directly and try to find an amicable solution. If you reach out an offer a handful of solutions, and the customer still isn’t happy, then you have done all you can. At the very least, the customer can look upon your attempt as a good faith effort, possibly restoring their belief in your products and/ or services. Yes, initial interactions carry a lot of weight. Look at your business through the eyes of a customer. What can your business do to be more inviting? 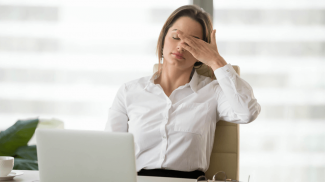 How can your employees communicate their availability without being overly pushy? The best way to manage first impressions is to consider the differences between businesses with good first impressions and those who overcome poor first impressions. It’s always better to be in the former. Redundancy destroys morale, and your customer service team is no different. If they have to solve the same problem day in and day out, then this will eventually lead to burnout. Build in self-service options for your customers but equip those options with an escape route. If your automated system is too onerous for your customers, then make it easier for them to reach a live person. Self-service also significantly reduces call volume, allowing your customer service team members to spend more time solving problems for customers—a win-win for all involved. This may be an unrealistic task for some businesses. However, every business should strive for creating an environment where the customer doesn’t feel duped. Customers with issues do not want to be told to “go read the fine print”. 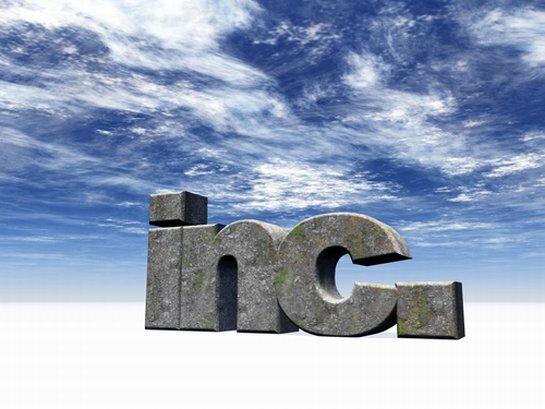 In fact, fine print creates an impression a business is trying to fool customers. Of course it’s important for businesses to have legal protection, however, customer service teams can be more upfront about expectations, proactively informing customers, and ensuring they understand exactly what they sign up for and what they are getting. This is much more effective than telling customers after the fact to look at Article 32, clause C, subsection AA. Customer service shouldn’t be automated, and it also shouldn’t be freewheeling. Good businesses have standard practices for incoming customer queries, issues, and complaints. Building and using these systems will allow your employees to consistently develop service skills as well as meet customers’ needs. If they work through the customer service matrix and haven’t effectively resolved a customer’s issue, then it should be escalated to a manager or supervisor for specialized attention. Once you have completed a sale, resist the urge to quickly move on to the next sale. Good restaurants don’t bring the check immediately after you put down your fork after finishing a meal. The same goes for other businesses. Upon the completion of a sale, customer service team members should later follow up with customers to ensure they are happy with a product and/ or service, or to see if there is anything else a business can do to make their experiences better. Build this step into your customer service workflow. Few things annoy customers more than a smarmy demeanor. Train your customer service team members to be empathetic to customers’ needs and issues. Even if the issues seem trivial, remember that they are important to the customer. The best thing you can do is to make the customer feel as if they are being heard and that their issue is being taken seriously. Today’s customers are less likely to make purchases individually. They often ask friends and family on social media and other online platforms for recommendations. Although many businesses see this as intimidating and overwhelming, why not create a similar channel for your own business? You can easily build a forum or post a blog on tips or FAQs on how to use a product. Not only does this tactic solve problems, it also builds a community and brand loyalty. One of the first rules of customer service is empathy. In fact, empathy is the very best human quality. Expressing it early on in the customer service experience can go a long way to providing favorable impressions, even if you aren’t able to immediately solve a problem. The power of email marketing goes a long way today. The majority of businesses also collect personal data on their customers, such as anniversary dates or birthdays. Why not put that data to good use and make it a part of your customer engagement model? For example, something as simple as a happy birthday email with a discount or offer can make a customer feel special and valued. We have mentioned the importance of social media presence many times in this article. Not only does using social media allow your business to build and maintain a brand presence and awareness, it also helps customer service professionals monitor customer comments, mentions, hashtags and so on. Social media is incredibly popular among millennials. Therefore, if millennials represent a large portion of your customer base, then it’s important to invest in these channels, allowing your customer service team to address customer queries and comments via these platforms. Often, customer service professionals treat customers as their problems instead of as different people with the same problem. Don’t fall into this routine! Instead, focus on serving the person—not the problem. This helps build personal relationships, which leads to increased brand loyalty. Whether selling a product or helping a customer solve a problem, being proactive and expeditious in your efforts is important. This shows customers that you are on top of it, and that you value and respect their time. The better your customer service team is at balancing efficient service with creating a memorable experience, the more successful your business will become. Something simple as a follow-up call or email a few days after a customer purchases a product is another effective tactic. After making a purchase, the customer is interested in seeing the most value out of the product. Therefore, your timely phone call or email can mean the world. This is also a good time to walk them through different product features and show them how the product will enhance their lives. If your business does something well, then capitalize on it! Your business will be recognized for its strengths. For example, if your business is small but is known for good customer service, then this is something to keep in mind as your expand. Focus on the principles that your customers appreciated when you were small. Often, companies grow and focus on profits, not people. Don’t make this mistake. Another crucial customer service tip is listening. In fact, listening and empathy often go hand in hand. During face-to-face interactions, be sure to look customers in the eyes while they are speaking. Afterwards, paraphrase what they have said to check for understanding. Avoid appearing distracted, even if the story is meandering. Active listening always works. Another good business practice is to allow your employees to work towards goals. Provide incentives for good service. For example, award the employee with the most positive customer feedback in a month with a free lunch or offer. Your employees will naturally strive to earn the prize without sacrificing service principles. On the same track of honesty, it’s okay if you don’t know or don’t have an answer. In fact, it’s perfectly okay to call this out in a conversation with a customer. Show you’re dedicated to service by working relentlessly to find an answer. In many cases, this often impresses a customer more than the actual answer. People appreciate those who work hard on their behalf. The moment you argue with a customer, you lose him or her. If the customer gets personal, rude or unnecessarily hurtful, then try to weather the storm, and address the incivility politely, but firmly as you redirect to solving the issue. Some people don’t have manners, but this doesn’t mean you are allowed to forget yours! When a customer comes in and is upset, allow them to vent. This serves two purposes: You learn about the problem, they exhaust their pent up anger and energy, and then you are in a better position to not only deal with a calmer customer but to also effectively solve the problem. Train your customer service team to understand that venting isn’t personal; it’s simply frustration and every customer handles it differently. In summary, every customer is different, but good customer service can be replicated. Make sure your customers know they are valued by implementing these 30 different practices. All in all, if you take time with your customers, actively listen to them, and make a solid effort to resolve their problems, this will likely come back around to your positive in a positive way. Customer service is the cornerstone of business. 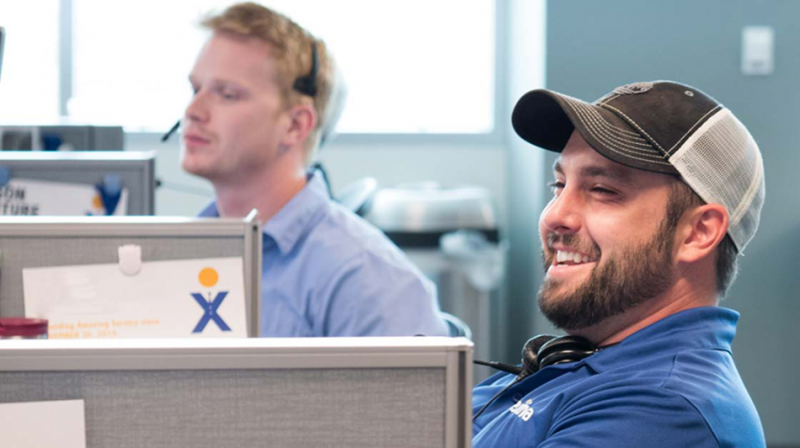 Nextiva offers a wide range of services and solutions to help businesses with customer service. Can’t agree more with the point about giving your customer service people the power to resolve a problem. It’s so frustrating to hear a rep tell you they aren’t able to fix it, but need to get someone else involved. Give your reps the power, explain how far they can/can’t go and let them take ownership of issues.